Actually, browser games are part of the PC games category, but playing in a web browser make them so different that they deserve to be classified as an entirely separate kind of games. Most of the browser games are simple massive multiplayer online titles with poor graphics and many social options. However, there are exceptions to this rule. Free production of MMO in a browser referring to the famous TV series in the climates of science fiction. In the game we play the people or Cylons and sit at the helm of famous fighters. The game consists of a variety of main missions and many side tasks. 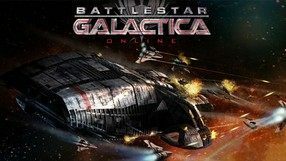 Battlestar Galactica Online surprises with a nice visual setting for a browser game. 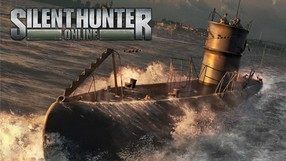 A World War II submarine simulator developed by Blue Byte Software for internet browsers. The player assumes the role of a German captain of U-Boot and completes missions given to him by the fleet command. The missions are frequently based on historical events and take place during historical campaigns such as the Battle of the Atlantic. The gameplay is based on maneuvering the submarine and controlling the weapons installed in it. Despite the fact that most of the time the player will focus on watching various indicators, the periscope allows him to search for enemy units in real time. The main attraction of Silent Hunter Online are the multiplayer battles. A special system is observing the successes and failures of each commander. The game features high quality three-dimensional graphics. Economic social game in which the main goal of the player is to generate as much profit as possible through the construction and rental of real estate. We collect rents, invest in companies that provide additional income and help friends by visiting their localities. A social game aimed at railway enthusiasts. We manage the station by setting up a train set, letting them go on the route and trying to earn as much money as possible on transport. Gradually we move from nineteenth-century steam locomotives to modern electric locomotives which significantly speed up the exchange of goods. Social dragon breeding simulator. We take control of four airborne islands and strive to provide the best possible conditions for the development of these legendary creatures. Over time, we cross species by combining dragons representing different elements, thanks to which we get unique alumni able to fight with other players. The Sims Social is a browser version of the popular life simulator. The game was produced by Playfish studio, commissioned by Electronic Arts, which owns the rights to The Sims brand. Using the app available on Facebook, players have the opportunity to create their own hero and direct his or her daily life. A social game about garage and garage management. We carry out orders for which we buy new items of equipment, as well as racing with friends trying to get their vehicles. The in-game cars are based on actually existing models, although they have been shown in a slightly caricatured way. A funny game in which our task is to kill the Buddy - a moving puppet voo doo. We have at our disposal a wide range of different methods and tools of murder. Playgendary is responsible for creating and publishing this title. Moshi Monsters is a free of charge (free-to-play) social game addressed to the youngest. The player adopts a virtual creature he or she has to take care of. 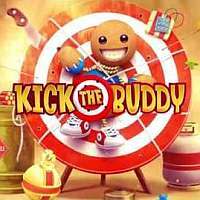 Developers from the British studio Mind Candy took care of attractive cartoon graphics, educational values of fun and extensive parental control tools. A simple simulator of celebrity’s life developed for mobile platforms and social networking services by the American company Glu Mobile. In the game the player assumes the role of a common saleswoman working in a clothes shop who one day suddenly meets Kim Kardashian. This becomes an opportunity for a great career for her. The future celebrity created by the player can follow one of three alternative routes: an actress, model or fashion designer and the player must take care of all aspects of her celebrity life. In Kim Kardashian: Hollywood one can encounter many more or less famous people with whom one can interact in various ways. As the popularity of the protagonist rises, she must deal with desperate fans and paparazzi. The game uses free-to-play model in which all actions cost a specific number of energy. The energy can be obtained by completing various activities in-game or by paying with real money. Casual game that allows you to play the role of the head of the café. We take care of our customers' well-being by serving them a variety of dishes and drinks, we collect tips, clean up, and for the money we earn we modernize the interior and broaden our offer. We take advantage of visiting friends and offer them help. 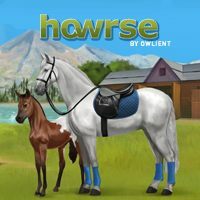 A simulation game in which we play the role of a beginner horse breeder. Our task is to take care of animals, train them, take part in competitions and breed. All in order to make our kennel the best. A social game that is an extension of FrontierVille production. We play the role of the title pioneer and together with three friends we try to explore dangerous, virgin areas. During the adventure we perform missions, meet NPCs and gain valuable experience. An uncomplicated economic game in which, as the head of a small clinic, we try to turn it into a huge medical center. The game consists in expanding and equipping the clinic, hiring doctors and diagnosing and treating patients suffering from fictitious, highly absurd diseases. A social game that combines gardening elements with Bejeweled-type logical productions that combine three of the same elements on a small board. Most of the time we spend on acquiring coins necessary to buy new seedlings and decorate the garden. To this end, we carry out missions and integrate with friends via facebook.